Jerzy W. Rozenblit is University Distinguished Professor, Raymond J. Oglethorpe Endowed Chair in the Electrical and Computer Engineering Department, and Professor of Surgery in the College of Medicine at The University of Arizona. From 2003 to 2011 he served as the ECE Department Head. 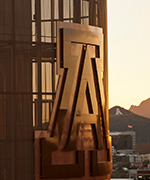 During his tenure at the University of Arizona, he established the Model-Based Design Laboratory with major projects in design and analysis of complex, computer-based systems, hardware/software codesign, and simulation modeling. The projects have been funded by the National Science Foundation, US Army, Siemens, Infineon Technologies, Rockwell, McDonnell Douglas, NASA, Raytheon, and Semiconductor Research Corporation. He has extensive teaching experience and conducts a vigorous graduate program as evidenced by many successful PhD and MSc students and Best Teacher awards. Dr. Rozenblit has been active in professional service in capacities ranging from editorship of ACM, IEEE, and Society for Computer Simulation Transactions, program and general chairmanship of major conferences, to participation in various university and departmental committees. Among several visiting assignments, he was a Fulbright Senior Scholar and Visiting Professor at the Institute of Systems Science, Johannes Kepler University, Austria, Research Fellow at the US Army Research Laboratories, Visiting Professor at the Technical University of Munich, University of Perugia, and Fulbright Senior Specialist in Cracow, Poland. Over the years, he has developed strong associations with the private sector and government entities. His management and project experience includes over $20 million in externally funded research. He had served as a research scientist and visiting professor at Siemens AG and Infineon AG Central Research and Development Laboratories in Munich, where over the years he was instrumental in the development of design frameworks for complex, computer-based systems. Currently, jointly with the Arizona Surgical Technology and Education Center, he is developing computer guided training methods and systems for minimally invasive surgery. Co-author of several edited monographs and over two hundred publications, Jerzy holds the PhD and MS degrees in Computer Science from Wayne State University, Michigan. He presently serves as Director of the Life-Critical Computing Systems Initiative, a research enterprise intended to improve the reliability and safety of technology in healthcare and life-critical applications. Artificial Intelligence, Engineering of Computer-Based Systems, Real-Time Systems, Programming Languages, Software Engineering, Data Structures and Algorithms. Design and Analysis of Complex Systems, Modeling and Computer Simulation, Computer-Aided Minimally Invasive Surgery, Applications of Computer-Based Technologies to Clinical and Academic Medicine. Riojas, M., Lysecky, S., & Rozenblit, J. W. (2015). Understanding Non-functional Requirements for Precollege Engineering Technologies. In Innovative Technologies in Management and Science, Topics in Intelligent Engineering and Informatics (pp 95-123). Springer-Verlag. Rojas, M., Lysecky, S. J., & Rozenblit, J. W. (2015). Understanding non-functional requirements for pre-college engineering technologies. In Innovative Technologies in Management and Science (pp 95-123). Shankaran, A., & Rozenblit, J. W. (2013). Augmented Reality Visualization for Computer Assisted Surgical Training. In Computer Aided Systems Theory-EUROCAST 2013 (pp 183--190). Springer. Rozenblit, J. W. (2012). Models and techniques for computer aided surgical training. In Computer Aided Systems Theory--EUROCAST 2011 (pp 233--241). Springer. Valenzuela, M. L., & Rozenblit, J. W. (2016). Learning Using Anti-Training with Sacrificial Data. Journal of Machine Learning Research , 17, 1-42. Valenzuela, M., Szidarovszky, F., & Rozenblit, J. (2014). A multiresolution approach for optimal defense against random attacks. International Journal of Information Security , 14(1), 61--72. Napalkova, L., Rozenblit, J. W., Hwang, G., Hamilton, A. J., & Suantak, L. (2014). An Optimal Motion Planning Method for Computer-Assisted Surgical Training. Applied Soft Computing , 24(11), 889-899. Prescher, H., Biffar, D. E., Galvani, C. A., Rozenblit, J. W., & Hamilton, A. J. (2014). Evaluation of a Navigation Grid to Increase the Efficacy of Instrument Movement During Laparoscopic Surgery. Journal of Laparoendoscopic & Advanced Surgical Techniques , 24(9), 656--659. Rozenblit, J., Shankaran, A., & Hong, M. (2013). Board 535-Technology Innovations Abstract A Hybrid Approach to Computer-Guided Laparoscopy Training: Combining Haptic Feedback and Augmented Reality (Submission\# 428). Simulation in Healthcare , 8(6), 626--627. Qiao, T., Rozenblit, J. W., & Szidarovszky, F. (2012). A Special Learning Process with Time Delay. Pure Mathematics and Applications , 23(1), 49-60. Riojas, M., Lysecky, S., & Rozenblit, J. (2012). Educational technologies for precollege engineering education. Learning Technologies, IEEE Transactions on , 5(1), 20--37. Hong, M., & Rozenblit, J. W. (2016, April). Modeling of a Transfer Task in Computer Assisted Surgical Training. In Proc. of the 2016 Spring Simulation Conference, Modeling and Simulation in Medicine , 794-799. Hong, M., & Rozenblit, J. W. (2016, Spring). Haptic Guidance with Fuzzy Control in Simulation-Based Surgical Training. In 2015 Spring Simulation Conference, Modeling and Simulation in Medicine , 2230-2235. Sametinger, J., & Rozenblit, J. W. (2016, February). Security Scores for Medical Devices. In SmartMedDev 2016 - Smart Medical Devices - From Lab to Clinical Practice, Proceedings of the 9th International Joint Conference on Biomedical Engineering Systems and Technologies (BIOSTEC 2016) , 5, 533-541. Nikodem, J., Wytyczak-Partyka, A., Klempous, R., & Rozenblit, J. (2015, February). Prototyping a laparoscopic skill trainer based on virtual reality and image processing. In Proc. of the 15th Intl. Conference on Computer Aided Systems Theory , 135-136. Rozenblit, J. W., & Sammetinger, J. (2015, April). Models in Healthcare Simulation: Typology and Security Issues. In Proc. of the 2015 Spring Simulation Conference, Modeling and Simulation in Medicine , 655-659. Haug, T., Rozenblit, J. W., & Buchenrieder, K. (2014, July). Movement Analysis in Laparoscopic Surgery Training. In Proc. of the 2014 Summer Simulation Conference, Modeling and Simulation in Medicine , 292-299. Prescher, H., Biffar, D. E., Rozenblit, J., & Hamilton, A. J. (2014, July). The comparison of high definition versus stereoscopic display on standardized fundamental laparoscopic skill procedures. In Proceedings of the 2014 Summer Simulation Multiconference , 48. Prescher, H., Biffar, D., Rozenblit, J. W., & Hamilton, A. (2014, July). The Comparison of High Definition versus Stereoscopic display on Standardized Fundamental Laparoscopic Skill Procedures. In Proc. of the 2014 Summer Simulation Conference, Modeling and Simulation in Medicine , 346-351. Prescher, H., Rozenblit, J. W., Galvani, C. A., Biffar, D., & Hamilton, A. (2014, July). Surgical navigation pointer facilitates identification of targets in a simulated environment. In Proceedings of the 2014 Summer Simulation Multiconference , 246-252. Rao, A., Hong, M., Shankaran, A., Fink, W., & Rozenblit, J. (2014). Performance assessment and optimization of motion planning in a surgical trainer for potential space applications. In Aerospace Conference, 2014 IEEE , 1--12. Rao, A., Hong, M., Shankaran, A., Fink, W., & Rozenblit, J. W. (2014, March). Performance Assessment and Optimization of Motion Planning in a Surgical Trainer for Potential Space Applications. In Proc. of the 2014 IEEE Aerospace Conference Proceedings . Rozenblit, J. W., Feng, C., Riojas, M., Napalkova, L., Hamilton, A., Hong, M., Berthet-Rayne, P., Czapiewski, P., Hwang, G., Nikodem, J., Shankaran, A., & Rao, A. (2014, July). The Computer Assisted Surgical Trainer: Design, Models, and Implementation. In Proc. of the 2014 Summer Simulation Conference, Modeling and Simulation in Medicine , 211-220. Valenzuela, M. L., Rozenblit, J. W., & Hamilton, A. J. (2014, July). A predictive analytics toolbox for medical applications. In Proceedings of the 2014 Summer Simulation Multiconference, CA , 180-187. Xing, D., Rozenblit, J. W., Bernau, S., & Ott, P. (2014, July). Cardiac arrhythmia visualization in a virtual heart for electrophysiology education. In Proceedings of the 2014 Summer Simulation Multiconference, CA , 152-157. Hwang, G., & Rozenblit, J. W. (2013). Implementation of computer-guided navigation in surgical training. In Engineering of Computer Based Systems (ECBS), 2013 20th IEEE International Conference and Workshops on the , 174--180. Rozenblit, J. W. (2013, January). Proceedings of the 20th IEEE International Conference and Workshop on the Engineering of Computer Based Systems,. In Engineering of Computer Based Systems (ECBS), 2013 20th IEEE International Conference and Workshops on the . Shankaran, A., & Rozenblit, J. (2013, February). Augmented Reality Visualization for Computer Assisted Surgical Training. In Proc. of the 14th Intl. Conference on Computer Aided Systems Theory , 122-125. Nikodem, J., Hwang, G., Rozenblit, J. W., Napalkova, L., & Czapiewski, P. (2012). Technical realization of the optimal motion planning method for minimally invasive surgery. In Engineering of Computer Based Systems (ECBS), 2012 IEEE 19th International Conference and Workshops on , 195--200. Valenzuela, M. L., Suantak, L., & Rozenblit, J. W. (2012). Decision support using deterministic equivalents of probabilistic game trees. In Engineering of Computer Based Systems (ECBS), 2012 IEEE 19th International Conference and Workshops on , 142--149. Whitsitt, S., Gopalan, A., Cho, S., Sprinkle, J., Ramasubramanian, S., Suantak, L., & Rozenblit, J. (2012). On the Extraction and Analysis of a Social Network with Partial Organizational Observation. In Engineering of Computer Based Systems (ECBS), 2012 IEEE 19th International Conference and Workshops on , 249--256. Rozenblit, J. W., Shankaran, A., & Hong, M. (2014, January). A Hybrid Approach to Computer-Guided Laparoscopy Training: Combining Haptic Feedback and Augmented Reality . 14th Annual Meeting on Modeling and Simulation in Healthcare. San Francisco, CA USA. Rozenblit, J. W., & Sametinger, J. (2016, Spring). Proceedings of the Modeling and Simulation in Medicine Symposium. Society for Computer Simulation, Pasadena, CA. Rozenblit, J. W. (2013, December). Proceedings of the 20th IEEE International Conference and Workshop on the Engineering of Computer Based Systems. IEEE Computer Society Press.